Having a strong call to action clarifies what it is you want your visitors to do. Whether your goal is to build your email list or to drive traffic to your product page, Magic Action Box makes it easy for you to create powerful calls to action that convert passive visitors into active ones. No coding required. We offer features that make it easy to set up your call to action the way you want it. 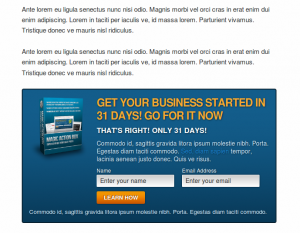 Easily add an action box before or after a blog post or page. 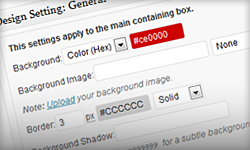 Create your own action box styles. Or, pick a style from one of our pre-configured styles. Many site owners assume that visitors need plenty of choices. In reality they want you to lead them. 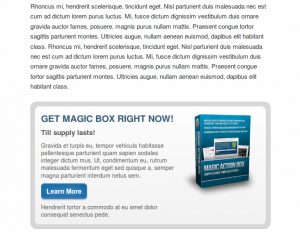 Magic Action Box helps you follow the same guiding principles used by successful websites – having a clear and focused call to action that ask visitors to do only one thing. 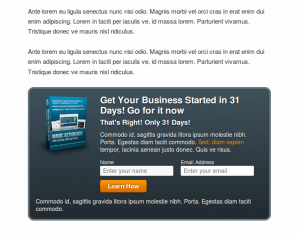 And this is where your website can go right. Not all of us are designers. Nor do we have the time to create one. But, we do want our action boxes to look sleek and professional – without breaking the bank. So, we’ve also included pre-configured styles so you can instantly have a great looking call to action – without needing a designer or a developer. It’s time for you to start converting more visitors into sales in less than 5 minutes!